TechBirmingham is proud to welcome one of our newest member companies, ThreatAdvice. 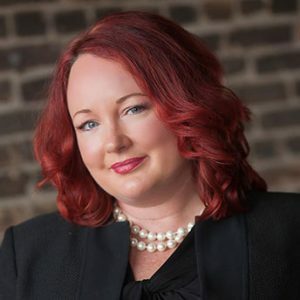 Jennifer Skjellum, TechBirmingham’s former president, recently joined ThreatAdvice to lead their efforts in blockchain and cryptocurrency enabled technologies. We are also excited to announce ThreatAdvice’s Bronze level sponsorship of our upcoming Alabama Cyber Now Conference, which takes place April 11-12, 2018 at the Hyatt Regency Birmingham hotel in Hoover. Tickets and additional info are available at http://alabamacybernow.com. Recently, we sat down with Steve Hines, President of ThreatAdvice, to learn more about their company and plans to positively impact our local technology ecosystem as members of TechBirmingham. We are very excited to have you join us as members of TechBirmingham. We’d love for you to share with our members a bit of info about ThreatAdvice. At ThreatAdvice, we specialize in educating enterprise employees on a non-technical level about cyber risks and how to avoid them. Our goal is to help businesses stay in business by being holistically cyber-prepared and avoiding drastic cyber breaches. That must be quite a challenge. What do you think is the biggest challenge in your industry? It can be difficult to get companies to realize that their employees are actually their biggest cybersecurity threat and that they must be individually educated in order to keep the enterprise safe. Let’s talk Birmingham. What is the most exciting trend you see in the Birmingham Tech Scene? A growing entrepreneurial spirit and lots of great ideas. The biggest challenge is getting funded, and also turning ideas into a marketable product and then selling it! Ideas don’t sell themselves — people do. If the last five years are any indication, the Birmingham tech scene will continue to grow, flourish, and mature. There’s still growing pains and learning curves, but the tech community is vibrant and exciting. We are launching an intelligence division, a compliance division, and a blockchain division. We have many experienced entrepreneurs at ThreatAdvice and would love to mentor and help any young startup companies so that they hopefully can avoid some of the pitfalls we’ve experienced over our careers. The success of one leads to the success of many. Find a niche market to start with and then develop from there. You typically can’t be all things to all people right out of the gate. Also, treat your cash like gold-it goes quickly in early stages. To learn more about ThreatAdvice, be sure to visit their website or connect with Steve on LinkedIn. In just a few short weeks, we will have the privilege of hearing from Tina Meeker and Sadik Al-Abdulla, two internationally known speakers in the cybersecurity industry at the Alabama Cyber Now Conference (ACN). Tina Meeker, Owner and Principal of Beacon Information Security, LLC, will be speaking on how to avoid hiring your doppelganger–someone who is just like you. Many of us have a tendency to hire people with whom we resonate with and find similar to ourselves. Unfortunately, this similarity seeking attitude can hinder our success. Meeker understands the benefit of encouraging diversity in one’s business. As a woman, she had to make her way through an industry where women were not represented, particularly in senior roles. Women aren’t the only minority groups underrepresented in the cybersecurity sector. A study performed by (ISC)2 and The Center For Cyber Safety and Education found that even though minority representation is higher than the national average in the cybersecurity sector, minorities have a lower representation in the senior level roles in cybersecurity companies. A recent article from We Live Security suggested that this isn’t just a fairness problem; it’s a problem that could lead to gaps in our security measures. With a lack of minority representation comes a lack of perspective, and these diverse perspectives are exactly what’s needed to keep our cyber networks safe. Many of us may recognize that it’s time to diversify our staff, but doing so is a process. As a keynote speaker, Meeker will spend time leading the Alabama Cyber Now attendees through strategies to make this process a positive one. 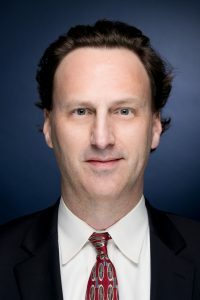 In addition to hearing this valuable information from Meeker, the ACN conference will provide you with the opportunity to attend four 1/2-Day Training Sessions on Securing Microsoft 365, Splunk, Weaponizing Your Job Search, and Technology Transition to Practice (TTP) for the NSF SATC program. These training sessions along with over 20 breakout session choices, over 45 vendors, and prime networking opportunities, will make for a conference that will be worth attending. Meeker and Al-Abdulla recognize that now is the time to focus your efforts on cybersecurity for your business. The 2018 Alabama Cyber Now Conference will be the perfect opportunity to grow your knowledge on the subject and ultimately help to create a safer cyberspace for you to continue doing great things. Be sure to register now and secure your spot at this premier event.